If you're holidaying in the Spanish Costa's, Barcelona is within easy reach. There are many day trips you can book with your tour operator or hotel, or you can use public transport and devise your own itinerary which usually works out a lot cheaper. I think I have visited the beautiful city of Barcelona 6 or 7 times now - 3 of those have been with my children and I was pregnant in my last trimester during our last trip. It is a gorgeous city and there is so much to see and do - a day trip can really break up your holiday to Spain. Below are some of my favourite places to visit in Barcelona with children and some hints and tips for making the most of your day. Barcelona is a wonderful city to walk around. There are plenty of squares, fountains and parks at the end of busy streets for your children to safely run around. To travel between tourist sites and landmarks we have always used the metro system - it is super efficient, buggy friendly and never too busy. Children love riding the train and it seems like one big adventure to them rather than just a way of getting from A-B. We always buy a T10 ticket which is 10 individual tickets for only €10.30 which you can split between your family. 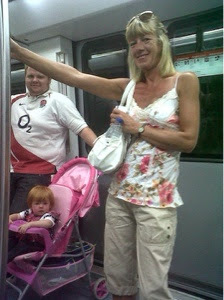 Under 5's travel free! You can download a metro map here. Children always love a trip to the zoo and Barcelona zoo is one of the best zoo's we've been to. There are lots of animals to see inside and out. Our highlight's have been watching keeper's bath the elephants, the gorilla enclosure, watching the fantastic dolphin show and walking around the reptile house. Entrance to the zoo is €19.90 for adults and €11.95 for children (under 4's are free). The zoo is huge so you can easily spend all day here. There are plenty of shaded areas but make sure you pack some bottled water, sunscreen and your sun hat. Barcelona marina can be found at the bottom of Las Ramblas and is the perfect place to head of you need to get away from the busy streets of the city. Children love walking around admiring the many superyachts on display in the port and you can take refuge from the sun and enjoy some free wifi in the air conditioned Maremagnum shopping mall. There are lots of lovely restaurants lining the marina making this a perfect spot for lunch. Most of the restaurants offer child friendly options or portions. Barcelona is also one of the few citie's that has it's own beach - the perfect place to let relax as a family when you need a break from sight-seeing. Football fan's will say you can't visit the city without a trip to Camp Nou. I don't even like football and have ended up at this museum/tour three times now! It is surprisingly child friendly and we all loved it. Children are inspired looking at the trophies, the museum is interactive in parts and there are lots of fun photo opportunities. Entry is €23 for adults and €17 for children. Under 6's are free. The Sagrada Famila and the work of Gaudi that line the streets of Barcelona may not be high on your list of things to do whilst on holiday with children. I urge you to take them though - it doesn't have to be boring. We make up stories that this is a princess castle or a the cathedral from one of their favourite Disney films. Whatever your age, you can't help but be in awe of such beautiful buildings and architecture. Don't hang around for too long though as your children will end up getting restless. When we visited we hopped off the metro, grabbed a drink and walked around the outside whilst enjoying our drink and taking the building in then hopped straight back on the metro to the next sight. 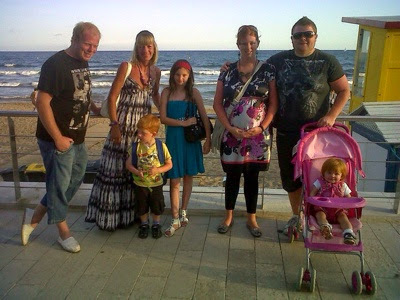 We have never stayed in the city centre with our children as it is always so accessible from the beach resorts. 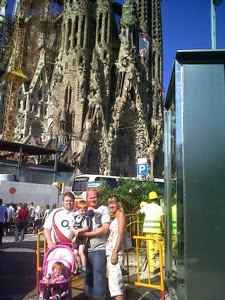 Last time we visited Barcelona we stayed at Sanguli with Al fresco holidays and caught the bus direct from the site's reception. I hope you have enjoyed reading about my experiences of Barcelona with children and will maybe consider taking your children too. It really is a beautiful city that the whole family can enjoy. Ahh I love Barcelona! The zoo really is brilliant! My sister is going in the summer I mush share this post with her! I am definitely going to Barcelona this year! 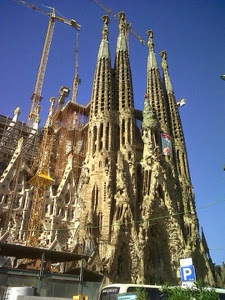 I need to go to the Sagrada Familia badly!